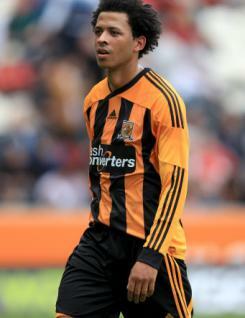 Liam Rosenior is a versatile defender who joined Hull City as a free agent in November 2010. He quickly established himself at right back in the Tigers? line-up and was a fixture in the side until sidelined by a shoulder injury in the closing weeks of the campaign. Liam was previously with Reading who released him at the end of 2009-10. He had previously been a regular for the Royals in 2008-09 before losing his place in the side and spending much of the following season on loan to Ipswich. Liam is a former trainee with Bristol City who went on to play over 50 Premiership games for Fulham before signing for Reading.